Abu Dhabi food festival, the annual food festival organised by the Department of Culture and Tourism is back this December and this year there's only one place to celebrate it. 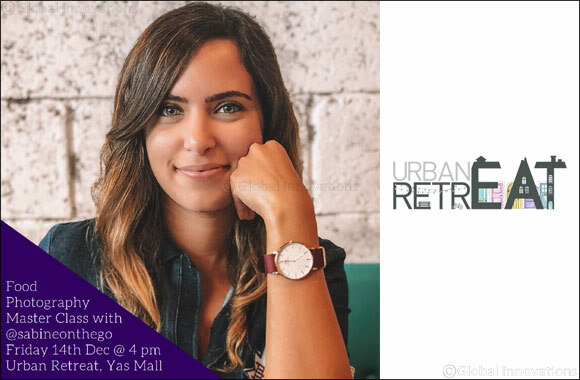 Urban RetrEAT, the food incubator located in Yas Mall Abu Dhabi, will host a series of activities over the course of the two week festival which will run form the 6th – 22nd December. A foodie destination in its own right, Urban RetrEAT has become Yas Island's go-to venue for food, fun and laughs since its launch in June this year. Read below for what's to expect in Urban RetrEAT this December. Budding chefs, this one's for you! On the 8th of December diners have the chance to take part in a cook off, where they will be pitted against each other to recreate a dish from each vendor. Think your taco making skills are the best? Put your money where your mouth is an come down to Urban RetreEAT fom 4pm-6pm for your chance to win a 100 AED voucher and have a whole lot of fun at the same time. No reservations are necessary and the cook-off is free to attend and open to everyone. We all know pizza and fun go hand in hand. But what you might know is pizza and nutrition can also be a recipe for fun too. On December 15th from 3pm-5pm Kidz Factory UAE, the interactive entertainment facility for kids in Abu Dhabi, will be hosting an interactive pizza making class for kids and parents. Using healthy toppings, kids will not only be taught how to roll dough and create the perfect pizza but also be educated on the importance of healthier food choices. Children can also sample and take home their creations. The class is free to attend and no prior registration is necessary. Whether you're a photographer, a blogger or an aspiring food stylist or just someone who loves capturing their foodie moments, this interactive masterclass is one for you. Lead by an expert food photographer and social media influencer, Sabine Khoury (@sabineonthego) known for her fabulous foodie-flat lays, this masterclass will show you the tips and tricks of perfecting that foodie flat lay to up your ‘gram game. Learn about lighting, colours and techniques from the pros at 4pm on the 14th of December.